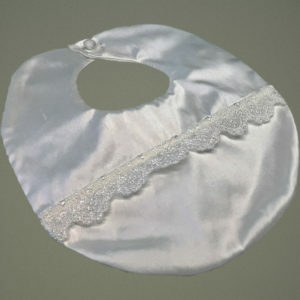 Our ‘Chloe’ Christening Bib is handmade using Dupioni Silk and will match perfectly with any gown or outfit. 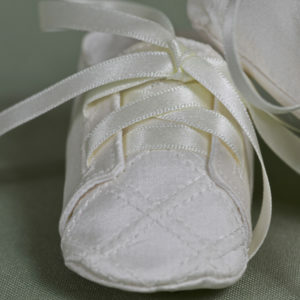 Secured at the back with a Satin ribbon. 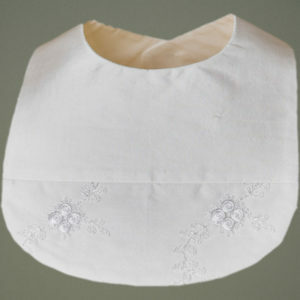 A lovely addition and will save your babies Christening outfit from any inevitable dribble. Available in Antique White, Pink or Ivory. 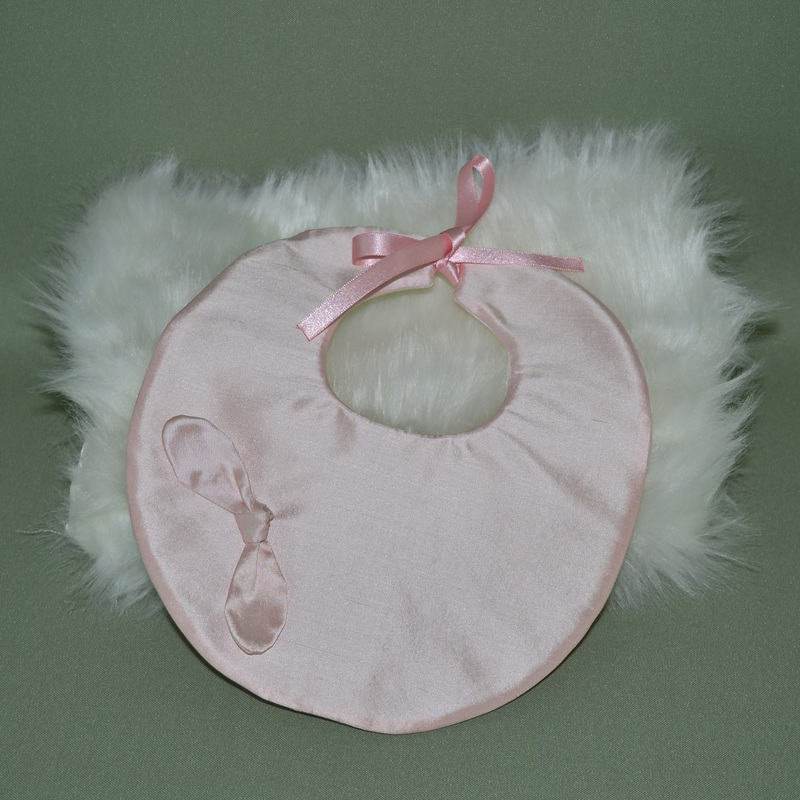 Our ‘Christening Bibs’ have been created to compliment each of our outfits; they are designed as decorative items. 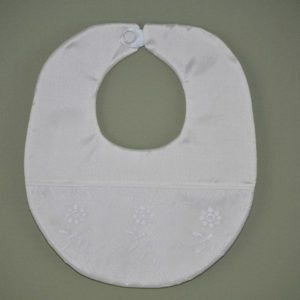 All of our ‘Bibs’ are ‘One Size’ and are designed and handmade so that they will fit a baby from 0 – 18 months. 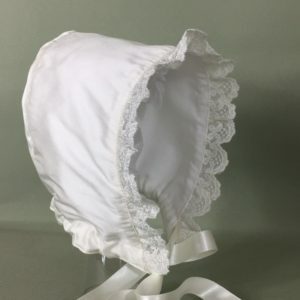 Important Information (Please read before ordering): Dispatch: All our bibs are Handmade to order so please allow up to 10 working days for dispatch. 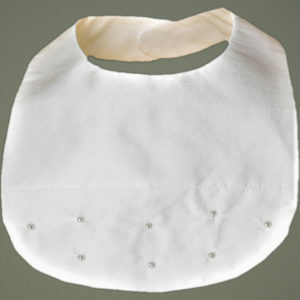 If you require a bib sooner then please contact us prior to making a purchase and we will do our best to priorities your order. 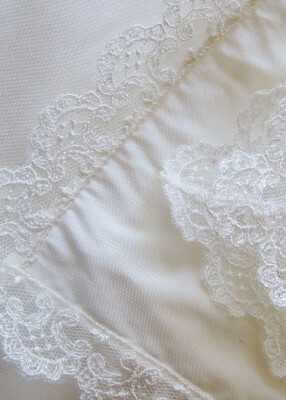 Please contact us if you require samples of fabric or lace.